Punjab National Bank PNB Hiring Manager Posts,PNB Fresher Manager Posts Recruitment, Manager Posts Opening in PNB,PNB Project Assistant Accounts Posts Engineer, PNB IT Associate, PNB Vacancy , PNB Recruitment, Placement and Opening.This website Provides Kolkata Jobs,Hydrabad Jobs,IT Jobs,Bangalore Jobs,Pune Jobs,Chennai jobs,Delhi Jobs,Gurgaon Jobs,Noida Jobs in India. To get Instant Freshers JobUpdate Visit This website. 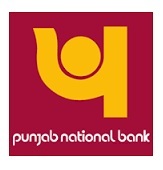 About Organization:- Punjab National Bank is an Indian multinational banking and financial services company. It is a state-owned corporation based in New Delhi, India. Founded in 1894, the bank has over 6,968 branches and over 9,935 ATMs across 764 cities. entitle a candidate to be called for selection. ii) Only shortlisted candidates will be called for interview. ii) For all others, the application fee is Rs.300/-.